Indslev brewery was established in 1897 by Frederik Christian Rasmussen. At some point the brewery was closed down, but in 2005 restored to former glory with brand new production equipment. The re-opening was made possible by Anders Busse Rasmussen, grand grand nephew of Frederik Christian Rasmussen. 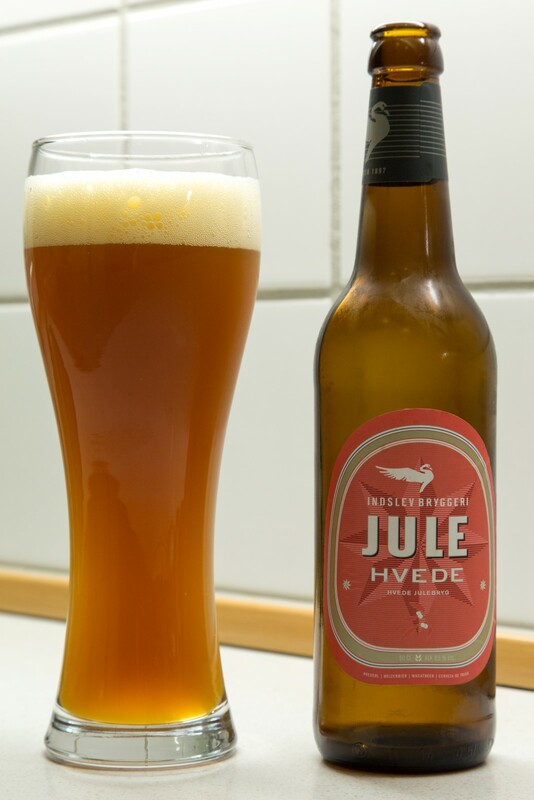 I bought this beer in a the super market Kvickly in Odense, Denmark at the price of 3 Euro for a 500ml bottle at 6,5%. Deep orange colours with brown tones and a lovely glow in this unfiltered beer. The head disappears fast into a thin layer. Sweet and light fruit aroma but with a more forthcoming darkness and caramel. Medium CO2, fruits and darkness with a good wheat taste. Ends up in the hops and sweet after taste. This entry was posted in Beer and tagged beer, christmas, weissbier, wheat. Bookmark the permalink.